The Mitsubishi Lancer is the brand's second smallest offering, a compact four-door sedan that sits above the diminutive Mirage in the company's limited lineup. Over the last couple of years, Mitsubishi has dramatically pared back the Lancer lineup. 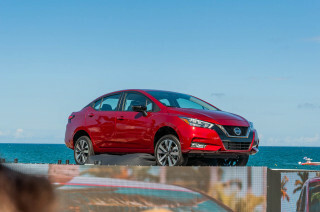 The five-door hatchback SportBack model from prior years is gone, as are the rally-inspired Evolution and Ralliart performance versions. 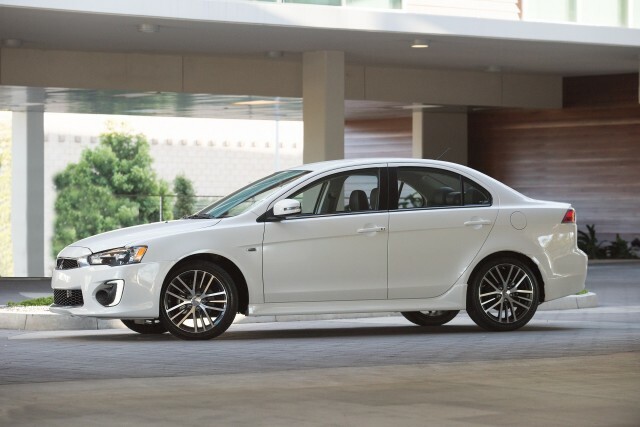 Today's Lancer is available in ES, SE, and SEL trim levels. 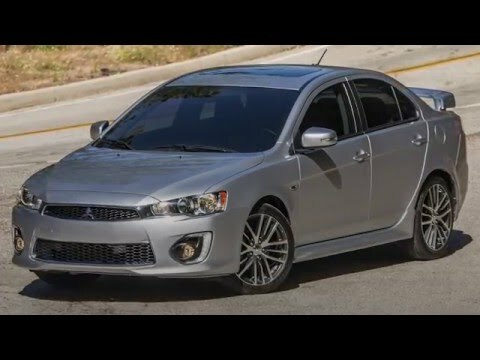 With the Lancer, Mitsubishi has rivals that include the Toyota Corolla, Honda Civic, Kia Forte, Dodge Dart, Ford Focus, Chevrolet Cruze, Hyundai Elantra, and Nissan Sentra, among others. 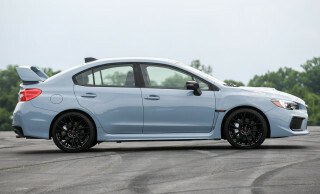 Previously, the Subaru WRX, the Volkswagen GTI, the Volkswagen Golf R, and the Ford Focus ST all went up against the now-discontinued Lancer Ralliart and Evolution. For the 2017 model year, changes to the Lancer are mostly packaging: A rearview camera is newly standard, as is a touchscreen infotainment system. ES models are now available with two-tone 16-inch alloy wheels, while SE and SEL have standard 18s. A Sun and Sound Package for the SE and SEL adds a power moonroof and a Rockford Fosgate-branded audio system. The Lancer is now decidedly outdated, and its cheap interior, lack of refinement, noisy ride, and low fuel economy work against it, while more modern and updated alternatives abound in a highly competitive and extensive market segment. Still, with optional all-wheel drive and a competitive price (not to mention hefty discounts), the Lancer isn't necessarily something to totally cross off of your shopping list. Base versions of the Lancer sedan provide solid handling wrapped in a sporty shape, at an affordable price. 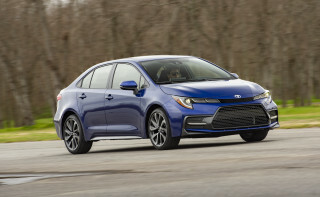 Its all-wheel drive option sets it apart from every other compact sedan except the Subaru Impreza. The base Lancer is offered with a smaller engine and front-wheel drive. The Mitsubishi Lancer name dates back to the 1970s in the brand's home Japan market, and had established a good performance reputation in other markets, but even as recently as through the 1990s—when Mitsubishi was taking center stage in WRC rally racing—the automaker sold a homely, more stripped-down version of the Lancer, called the Mirage in the U.S.
Beginning in 2002, Mitsubishi finally brought the last-generation version over with the name Lancer, and from the beginning it gave the model more of a performance emphasis—in look, if not specs—with a sporty O-Z Rally edition. These Lancer models rode and handled quite well and had a reasonably roomy interior compared to other cars their size, but their handicap was the boomy 120-horsepower, 2.0-liter 4-cylinder engine, which struggled with the automatic transmission and was only adequate with the 5-speed manual. The 162-hp, 2.4-liter inline-4 that was introduced in 2004 with the Ralliart edition gave the Lancer more satisfying performance, thanks to a specially tuned suspension and other upgrades. In 2004 only, a boxy Sportback wagon version was offered here. For 2008, Mitsubishi rolled out the current Lancer, which from its shark-like front end to the more aggressive stance and powertrain upgrades looks and feels a lot more exciting than its predecessor. 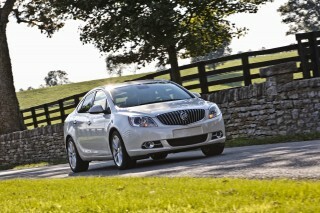 Base SE and ES models are powered by a 152-hp, 2.0-liter four, but the GTS gets a 168-hp, 2.4-liter version. The top-of-the-line GTS emulates the Ralliart and Evolution in all but actual performance; while it's perky, it doesn't accelerate like a sports car. Lancer models come with either a 5-speed manual transmission or a CVT automatic; we'd recommend the manual as the CVT causes the base model especially to be more noisy and sluggish. GTS models with the CVT get steering-wheel paddle shifters and six simulated gears, which redeem it somewhat. A Lancer Sportback model returned to the lineup from 2010 through 2015. Offering all the same features as the Lancer GTS sedan but instead in a convenient five-door hatchback body style, the Sportback has a slightly lower cargo floor than the sedan, and of course the seats fold flat to expand the space. Going into 2011, availability of the hatchback was expanded to ES trims, then in 2012 the Mitsubishi Lancer lineup gained a sporty GT model replacing the GTS. 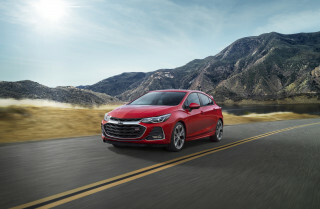 An SE model also introduced all-wheel drive for the 2.4-liter non-turbo engine. In 2012 we drove the all-wheel-drive Lancer SE and found it a worthy, albeit uninspired, rival to the Subaru Impreza. The Lancer has received some new trim levels and various feature updates for 2015, 2016, and 2017, aimed at boosting its value-for-money quotient. A rearview camera is standard equipment as of 2017, for instance. But few meaningful changes have come to the Lancer lineup in recent years, as the Mitsubishi brand has struggled to stay afloat in the U.S. market. Mitsubishi has mostly abandoned its sporty image to become an inexpensive brand selling tiny Mirages and low-content versions of the Lancer, while the small Outlander Sport crossover and larger Outlander keep some money coming in. Both the Lancer Evolution and Lancer Ralliart models are covered by a separate model review. While the Ralliart, which has a 237-hp, turbocharged engine, has a lot in common with the Lancer GTS, the Mitsubishi Lancer Evolution is significantly different structurally, and uses its own engine as well as a more-advanced all-wheel-drive system. The 2015 model year was the Evo performance variant's last, with no word on what, if anything, will replace it. The last run of Evo X models will be sold in Japan as Final Edition models and the final American model will be auctioned off for charity. Loving the Mitsubishi Lancer and Outlander. My family loved the car brand. Comfortable seating, fuel efficiency and excellent in storage space. The performance is incredible. I owned two lancers and my family loved it. Excellent performance and fuel efficiency. Incredible car to drive on the road. Needs better sound insulation and materials and at least 170 hp on the all wheel drive. Time for a new model to compete in the same segment.